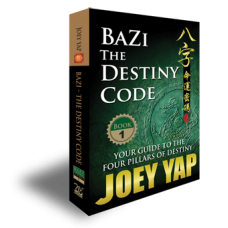 Just like DNA to a physical body, BaZi dictates the Destiny Code - that are the talents, the hidden abilities, the character, strengths, weaknesses, challenges in life, and achievements - of an individual. 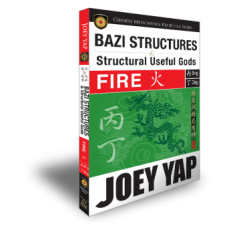 In this introductory book on BaZi or Four Pillars of Destiny, Joey Yap ventures deep into the essence of Personality Analysis to foster a more accurate and informed understanding, beyond the conventional Chinese Astrology reading. Chapter One: What Is BaZi All About? 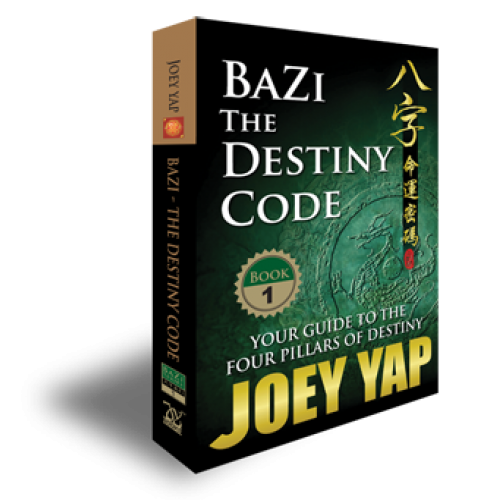 The basic tenets of BaZi and its comparison to another Chinese Astrology system. The Ten Heavenly Stems, the Twelve Earthly Branches and its connection explained. The nitty-gritty on BaZi chart plotting begins here. Chapter Four: Have You Got The Luck? Your Luck Cycle and Luck Pillars reveal it all. A basic study in Yin and Yang, Qi (energy), the Five Elements and its interactions. Decipher the Day Master, the Four Seasons and one's Favourable Element. A study on balancing your BaZi with the Five Factors. Chapter Eight: Will I Be Rich? Capitalising your Wealth Element can give you an edge. 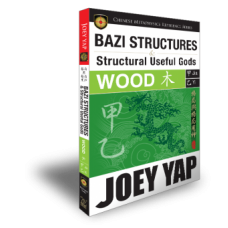 Open your mind to the benefits of BaZi in all areas of your life.